This kit is intended to help clients control their self-injury, and address the common emotional problems that accompany this behavior. 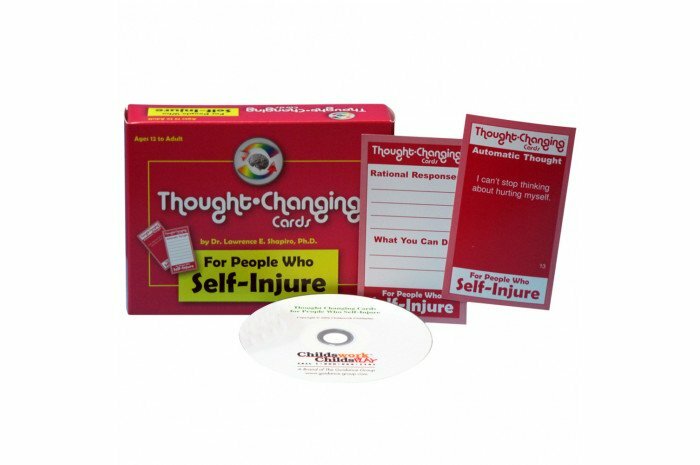 The kit contains 50 cards that show cognitive distortions on one side, and rational responses and positive behavioral activities on the other. 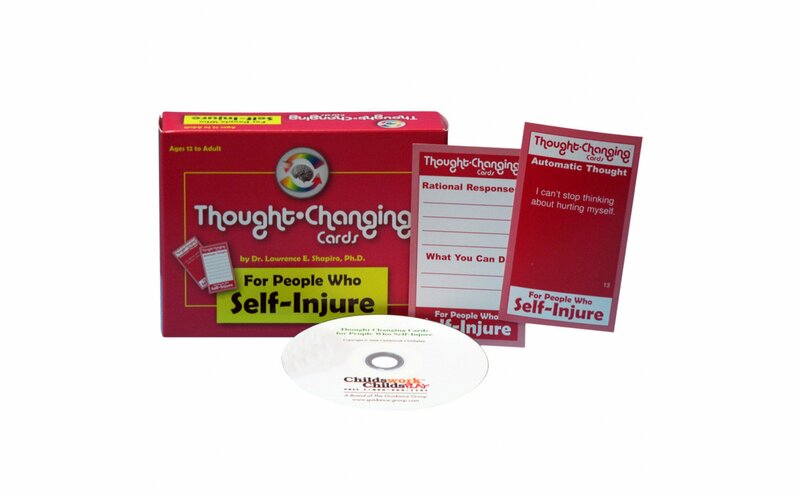 The kit also features a CD with dozens of printable forms to help keep track of change. By Lawrence E. Shapiro, Ph.D. Ages: 12-Adult. This game is great. I used it for people with substance abuse and eating disorders - about 16 adults played the game. One person rolled the die, moved the piece, drew a card and read it out loud. The entire group participated in the discussion, which got deep real quick. As a bonus, at the end of the game - actually when time ran out, everyone looked to their right and told the person next to them an affirmation and did the same thing for the person on the left. Many group members asked to play the game in the future. I used this game on 3 different groups: inpatient adults, adults in PHP and adolescents in residential.